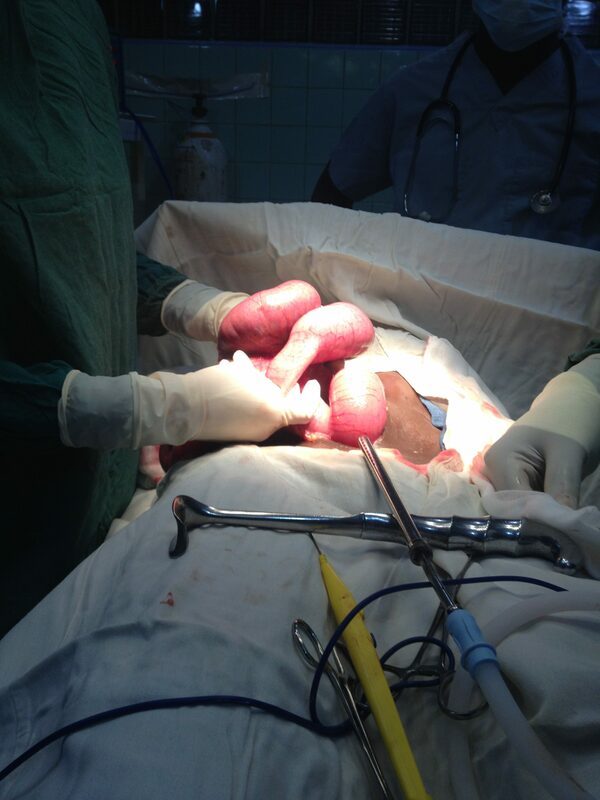 In the past several months, I have operated on three six-month old babies for intussusception. Intussusception occurs when the bowel telescopes into itself and cannot exit back out again. Once the bowel is stuck, it begins to swell, the blood supply to that portion of the intestines becomes compromised and it can lead to strangulation of the bowel. In infants, this disease process often occurs when the lymph nodes become inflamed around the junction between the small and large intestines. 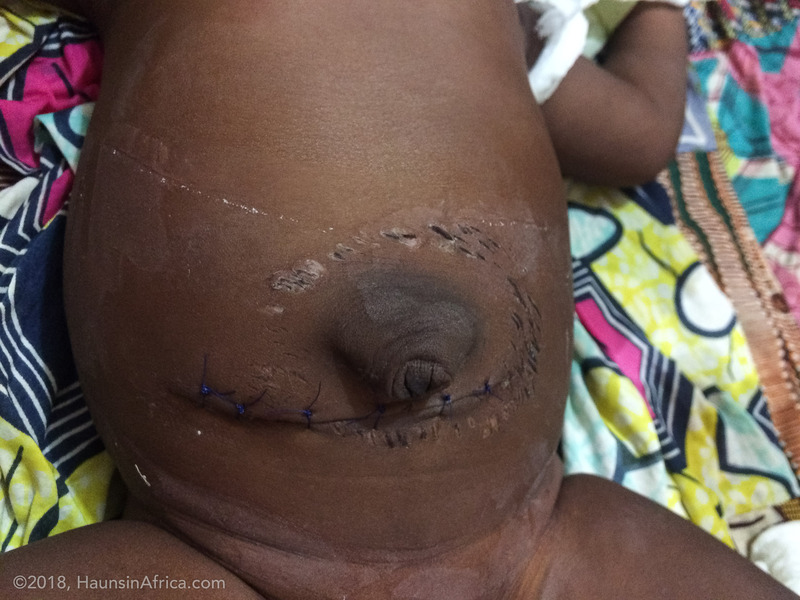 The infant has episodic abdominal pain, bloody-mucoid stool, and sometimes an elongated mass can be felt through the abdominal wall. The ultrasound finding is called a “target sign” due to the multiple layers of intestines and the edema in the bowel walls. Sometimes, if intussusception is caught early enough, a pressurized enema (given by interventional radiologists) is all that is needed to reduce the bowel back out. Here, we don’t have that specialty, therefore, surgery is the only option for treatment. Sometimes, it only requires a little manual pressure to push the bowel out, but more often than not, a resection of the affected bowel is required. 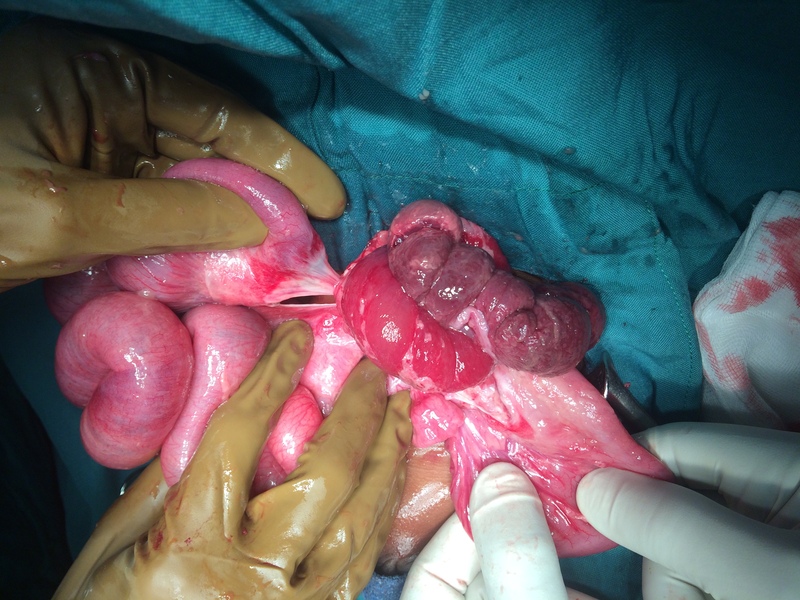 In these most recent cases, I had to resect (remove) part of the small and large intestines for two of the patients. For the third patient, I was able to reduce the intussusception, but had to remove the appendix. The pressure had blocked the opening of the appendix and caused a ruptured appendicitis! Each of these babies survived and are now doing well. Praise Jesus!